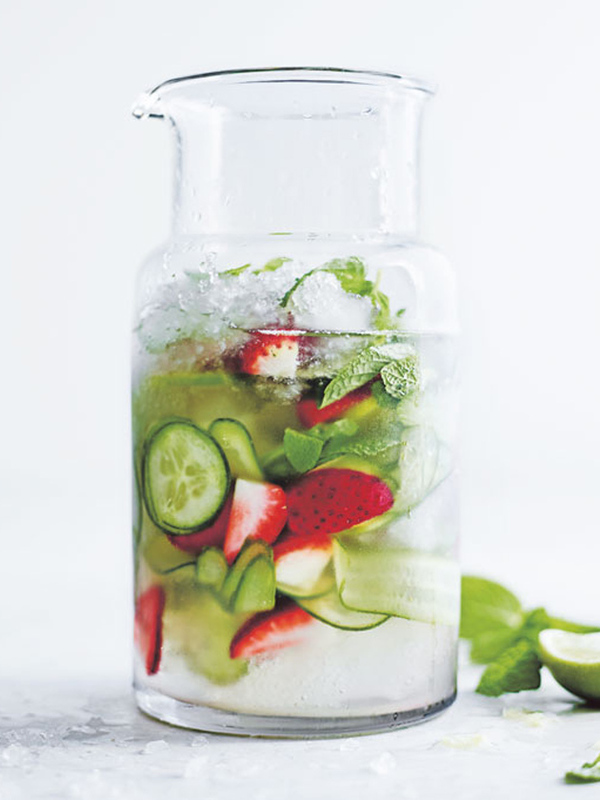 Place the coconut water, lime, cucumber, strawberry, mint and ice in a large jug. Stir to combine. Makes 2 litres. + Refrigerate the mixture, without the ice, for up to two days.